breeding program. The cover featured our well known Gypsy Vanner Stallion The Producer with our barn in the background. We won’t give you too many details but we have a fantastic cover and another story on our breeding program, goals and more scheduled for the Summer 2011 issue that you will not want to miss! 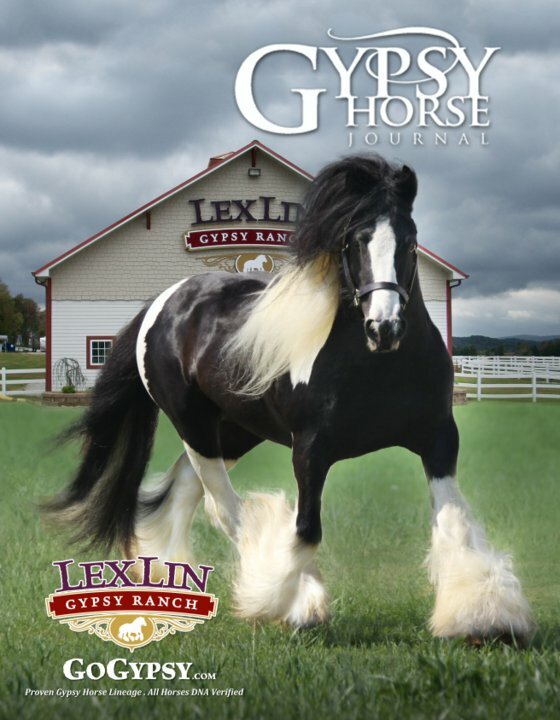 The summer issue of the Gypsy Horse Journal should hit the stands sometime in June. Don’t forget to check our Gypsy Vanner horse blog often for updates on our monthly online Gypsy Horse auctions, contests, news and featured Gypsy Vanner horses for sale. Please don’t hesitate to contact us if you have any questions about our horses.